This year marks the 500th anniversary of the beginning of the Protestant Reformation. Rather than focusing on the differences between the Lutheran and Catholic churches, an upcoming conference will mark this anniversary by focusing on better understanding the way Martin Luther came out of, engaged with, and shaped the Catholic tradition. “Luther and the Shaping of the Catholic Tradition” will take place at Catholic University, 620 Michigan Ave., N.E., Washington, D.C., in the Edward J. Pryzbyla University Center Tuesday, May 30, through Thursday, June 1. On Wednesday, May 31, an ecumenical worship service with choral music will take place at the Lutheran Church of the Reformation, 212 E. Capitol St., N.E., Washington, D.C.
Cardinal Kurt Koch, president of the Pontifical Council for Promoting Christian Unity, will deliver an address on the present state of Catholic-Lutheran relations. Wolfgang Thoenissen, director of the Mӧhler Institut, University of Paderborn, will provide an assessment of the Catholic interpretation of Luther over the centuries. Sessions on the topics of the Christian's justification, the nature of the Church, the Eucharist, and how the Reformation engaged the Eastern churches. Root has served as one of the organizers of the conference. 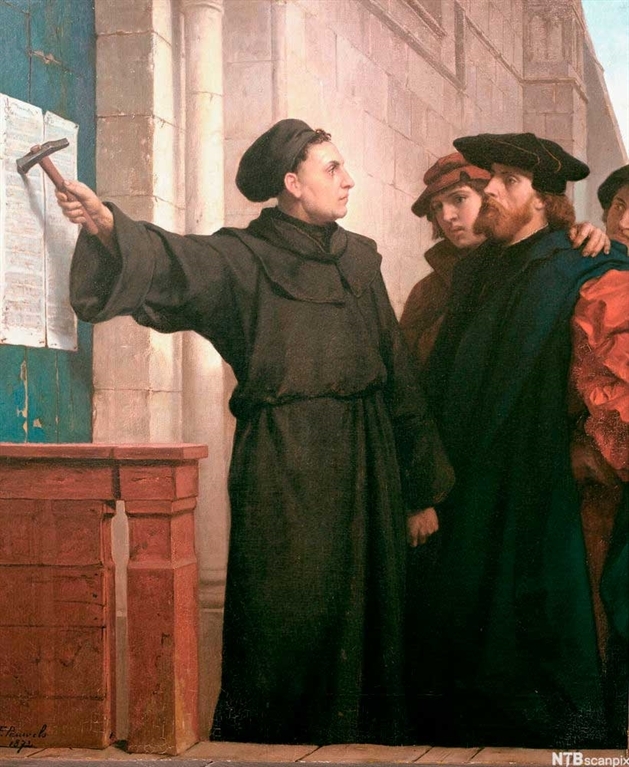 He was on the drafting team for the Catholic-Lutheran Joint Declaration on the Doctrine of Justification. He is a convert to Catholicism from Lutheranism. In addition to Root, who will talk about “Luther’s Impact on Catholic Understanding of Justification,” Catholic University Professor of Church history Nelson H. Minnich, co-organizer of the conference, will present a paper on “Late Medieval Ecclesiologies.” Minnich holds a joint position at Catholic University in the School of Theology and Religious Studies and Department of History. He has served as editor of the Catholic Historical Review for a dozen years, following more than 25 as advisory and associate editor. Other speakers will include leading Catholic, Protestant, and Orthodox theologians from both Europe and North America. The conference is co-sponsored by the Pontifical Committee of Historical Sciences; the Secretariat for Ecumenical and Interreligious Affairs of the United States Conference of Catholic Bishops; The Catholic University of America; and the Metropolitan Washington, D.C., Synod of the Evangelical Lutheran Church in America with support from the German Embassy in Washington, D.C., and the Gladys Krieble Delmas Foundation. For more information, a full schedule of conference events, or to register to attend, visit the website, email cua-strs-events@cua.edu, or call 202-319-5683. MEDIA: To schedule an interview with professors Root or Minnich, or to attend the conference, contact the Office of Marketing and Communications at communications@cua.edu or 202-319-5600.